Successfully Added Laser Pointer Pen - Long Range 100mW Output to your Shopping Cart. Pen shaped laser pointer with a powerful 100mW power output for a beam length of up to 1.5 kilometers at night. A perfect gadget for media presentations or for fun, all you will need is 2x AAA batteries for power, and you will be ready to shine. 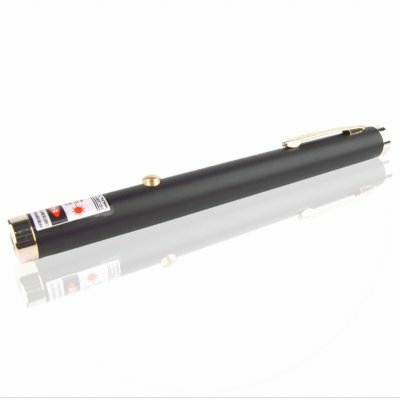 Chinavasion offers this laser pointer with no minimum order quantity and extra savings for bulk orders, so buy a sample for yourself, or buy in bulk for a great item with high reselling ability.